To think of the biblical unicorn as a fantasy animal is to demean God’s Word, which is true in every detail. Drs. Elizabeth Mitchell and Terry Mortenson discuss a recent local presentation that they attended. 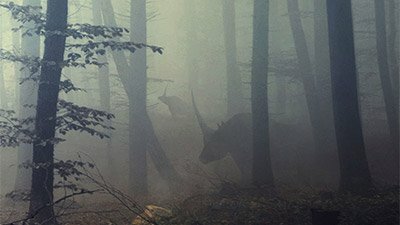 Did “Life on Earth” Ever “Favour Evolution Over Creationism”? The observations of science continue to be consistent with the true history of life on Earth as recorded in the Word of God, the Creator of all that exists. Fish fingers were never on the evolutionary menu.